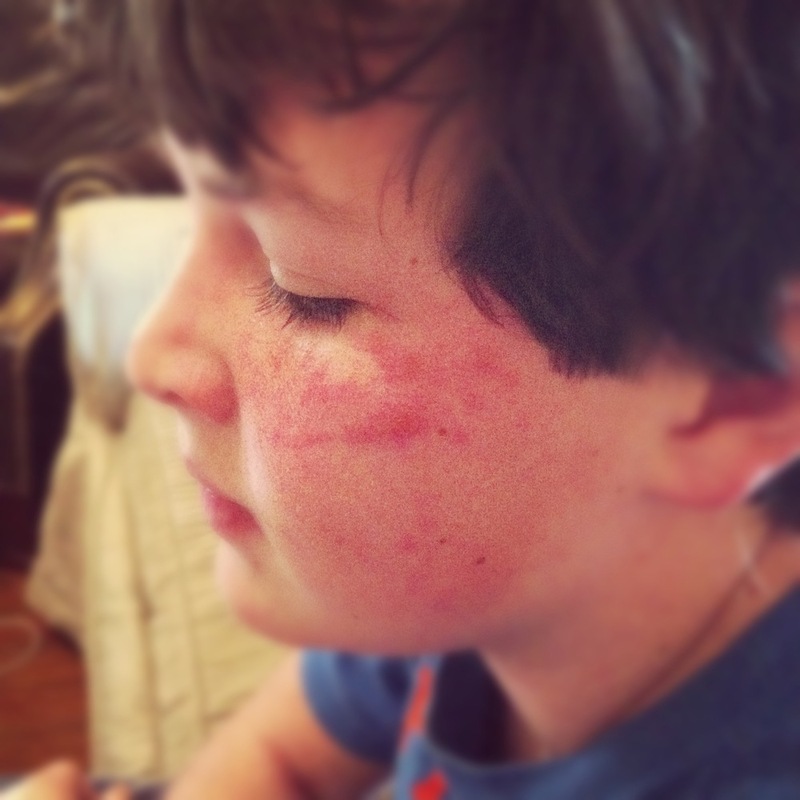 King has a poison ivy rash (again) ... on his face (again). This is the third or fourth rash he's had since we moved to the farm and the second he's gotten this winter. I thought we were supposed to get a break from this stuff in the winter. Believe it or not, we think he might have been exposed at his dad's house in the city this time. I guess there is no safe place, or season, for the highly reactive. So far, he's only got four small patches of it: one on his face; one on each side of one arm; and one in the elbow pit of the other arm. Because of our last bout with the rash, I come to this battle fully armed with an arsenal of washes, soaps, creams, ointments, sprays and herbs. Hopefully, we can keep this case contained and short-lived, so that we won't have to resort to using the Prednisone again. Stay tuned for updates on King's latest dermatological drama. Ugh.